Our dedicated stand-alone apps that also work as a suite is a real deal for growing companies. You will be able to sell more, manage your employees, keep books in order, be productive at work and make smart business decisions. We are cloud-based, cross-platform and device agnostic. Our widgets support more than 200 KPI metrics and visualizations. 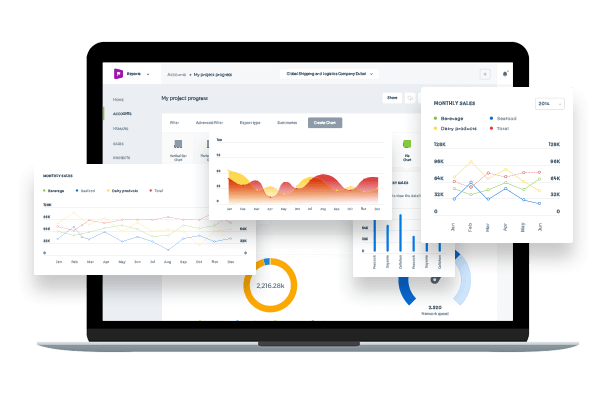 Build super dashboards for your team and your clients. We have got you an impressive technology stack to connect your data from various apps. User friendly drag-and-drop and context menus and actions. No more switching applications, painful implementations and complicated manipulations with data. 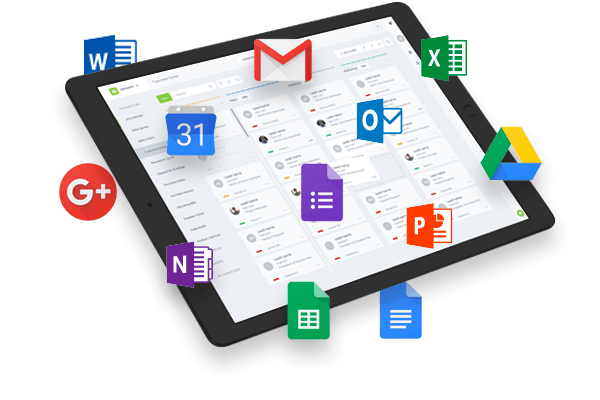 We integrate and automate our system with all your existing software that you use now with a click. Our API is solid so you can build confidently on our platform. There is life outside work. 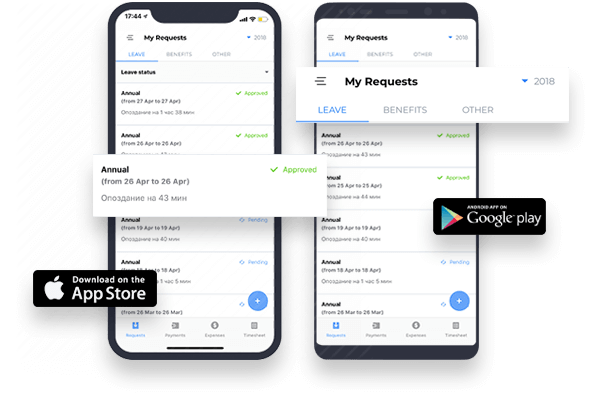 Save your time with our mobile apps that let employees to file leaves, track their own documents and expiry dates, check-in and check-outs, time-sheet hours and payroll data, on the go or from home. We work in a publishing company that focuses on the deployment of technology for the global financial services industry. kpi.com offers a lot of tools which we need: CRM, Mass mailing, Projects, and Invoicing. kpi.com offers fully functional accounting software for non-profit organizations. Being the low cost solution, the software is customisable. We customised a lot of accounting reports and procedures under Australian legislation. We use kpi.com for our consulting company. We use it daily for CRM and Project Management. It helps us to keep track of leads, cases and tasks. The kpi.com’s timesheet software is great for our needs. We enjoy both kpi.com software itself and their customer service. Even if the help desk is located very far away from us, they have been quite active in replying all our queries fast. Thanks for excellent support team! Vidzu Media is a full service St. Louis based content development, video production and creative storytelling agency. We use kpi.com for HR, Project Management and Accounting. It offers everything we need in one place. kpi.com’s inventory management is brilliant solution for us. We can manage our stock levels, make stock adjustments, and easily order products we need from the system. We are using kpi.com for almost 6 years today. Being one of the early customers, I can say that kpi.com offers a great software with a great support. kpi.com is a cost effective and high quality solution for service industries. We discovered kpi.com when our company was looking for a cost effective but a high quality system. We could easily add custom fields and create automatic workflows and reminders to our account in a company. We have implemented the training center and online accounting modules kpi.com for Knowledge Grid LLC. 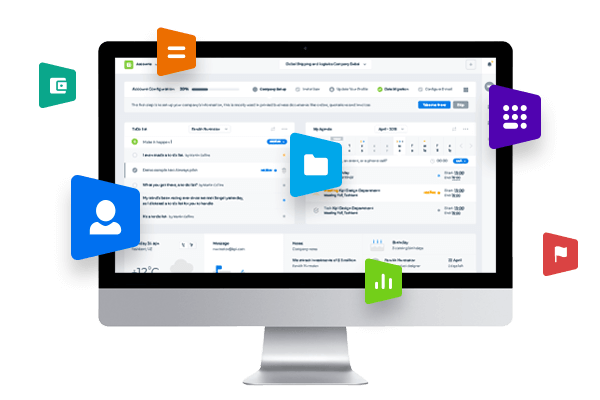 kpi.com helps us to automate our training schedules, invoice payments and it helps to manage all our cash flow operations transparently.